Made by Me Sewing Studio Ltd. » Hats for Homeless Night a Huge Success! Hats for Homeless Night a Huge Success! 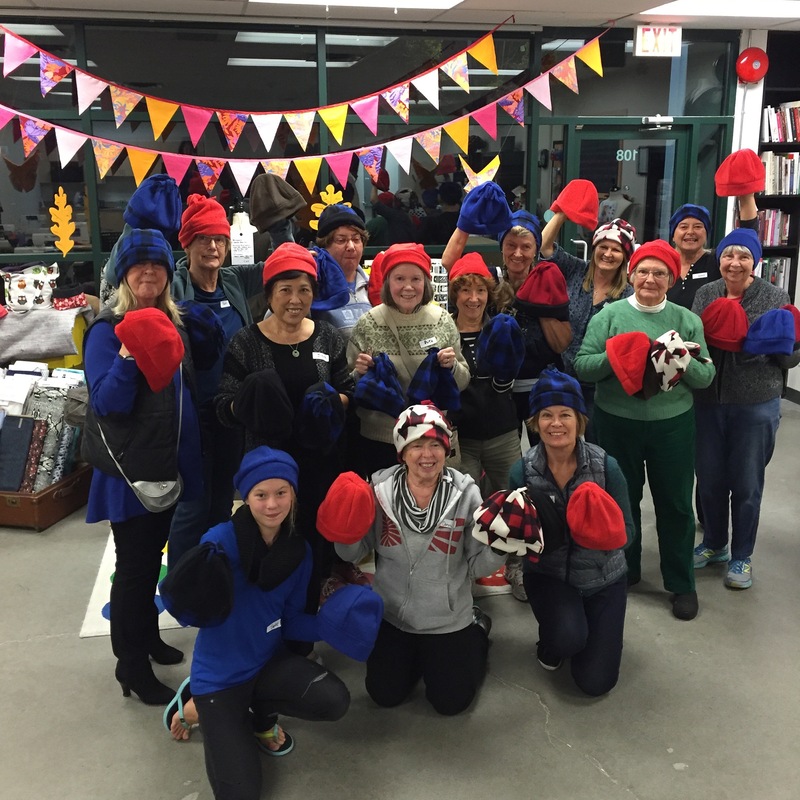 On Thursday November 5, these fantastic ladies donated their precious time and their mad sewing skills for our first Hats for Homeless Sewing Night at the studio. Together we made close to 50 warm and cozy hats to be donated to the Lookout Shelter around the corner from the studio. We had a great many laughs and ate more than a few Tim-bits! The fabric donations from Janice Jahanshahi and Minichiello Bespoke Couture were very much appreciated. Special thanks to my friend Lindsay Ward for providing the hat pattern and for helping out last night. Thanks also to Mel Mollison and Lisa Finlay for pulling through with an extra table and some chairs and to my husband John for bringing treats. That was a blast – let’s do it again soon!